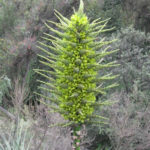 Puya chilensis is an evergreen perennial with large, dense rosettes of grey-green, strap-like leaves edged with hooked spines. 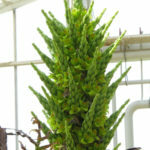 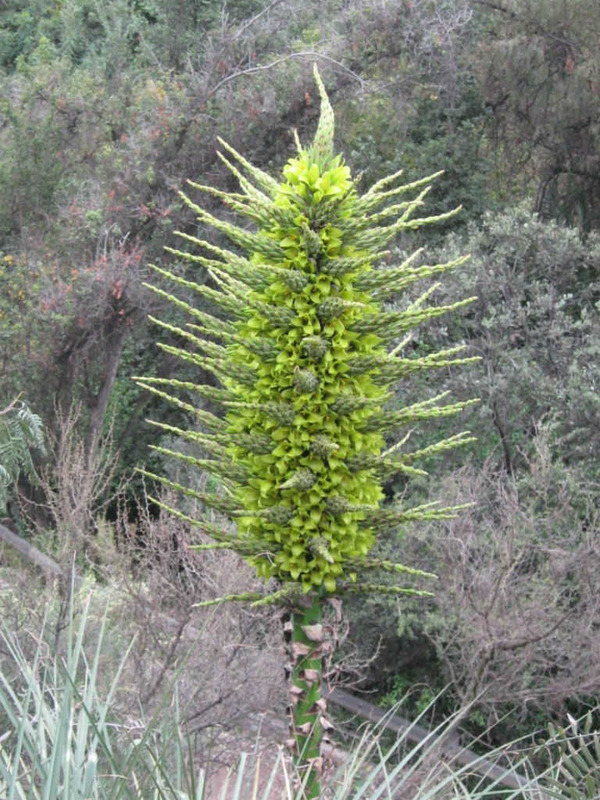 The green or yellow flowers are borne on spikes which resemble a medieval mace, and stand up to 6.6 feet (2 m) high. 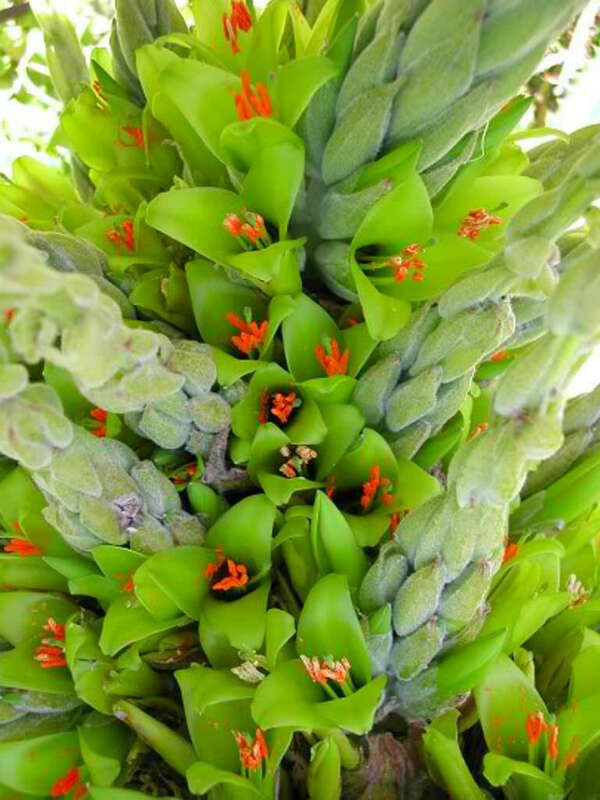 Spreading by offsets, it can colonize large areas over time. 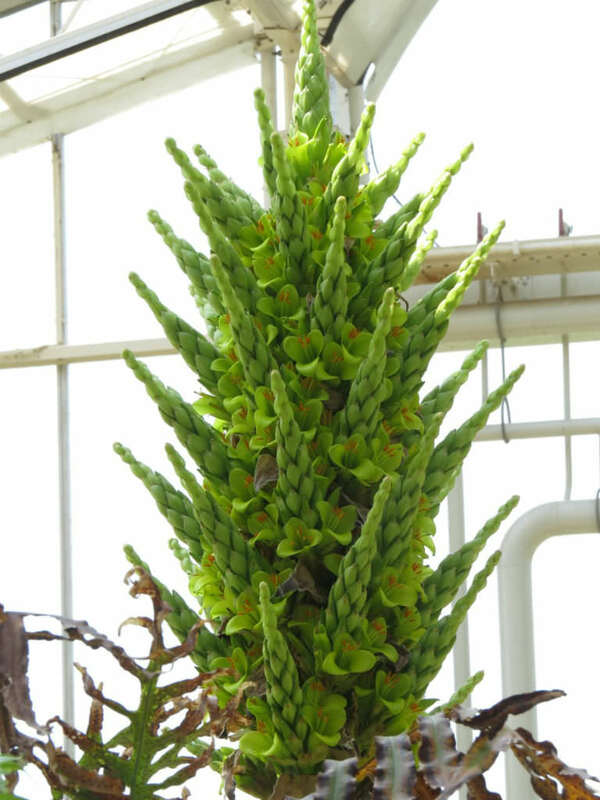 Growth is slow and plants may take 20 years or more to flower. 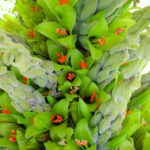 The outer two-thirds of the leaf blade bears outward-pointing spines which may be an adaptation to prevent herbivores from reaching the center of the plant. 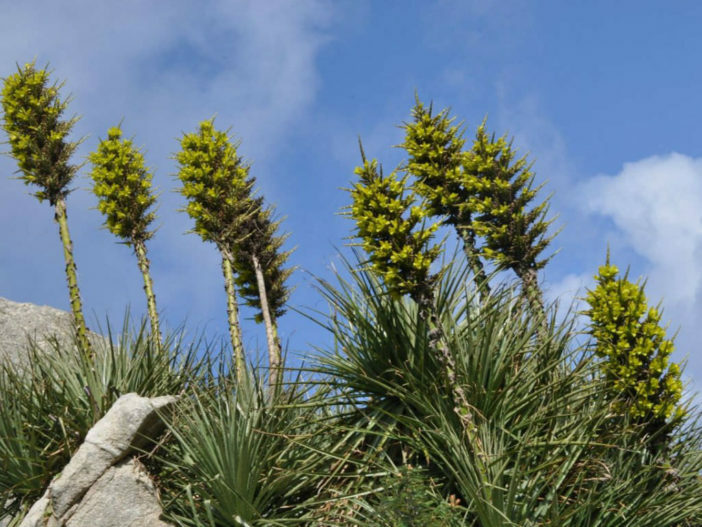 Native to the arid hillsides of Chile.